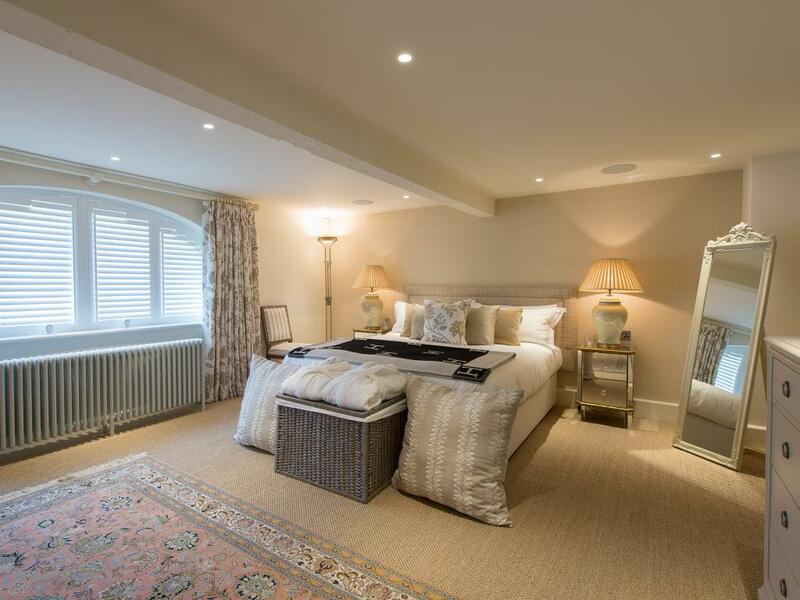 This renovated Georgian hay barn has been lovingly restored with lavish interiors to match its beautiful surroundings. 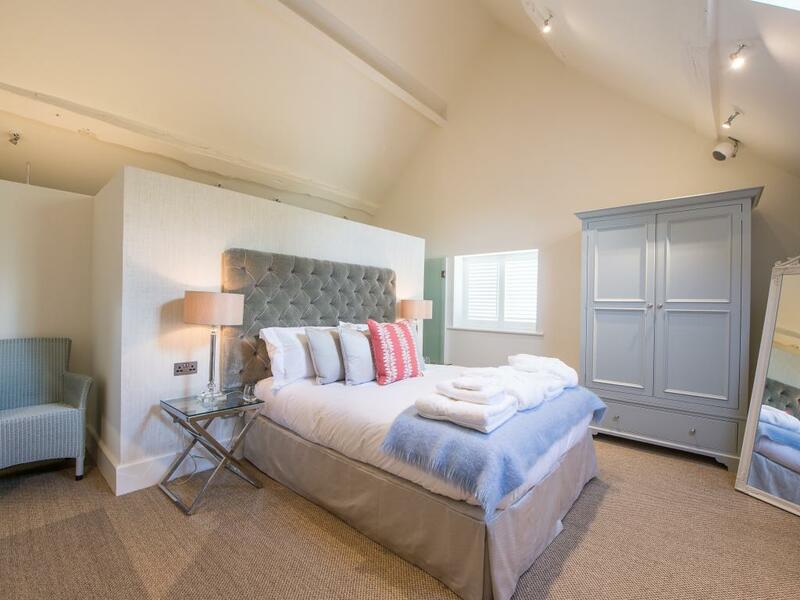 Comprising seven en-suite bedrooms (the master suite also has a steam room in the bathroom), each furnished with Vispring beds and The White Company linens and towels, the property also features a plush TV room, reading snug, dining room and chef designed kitchen. 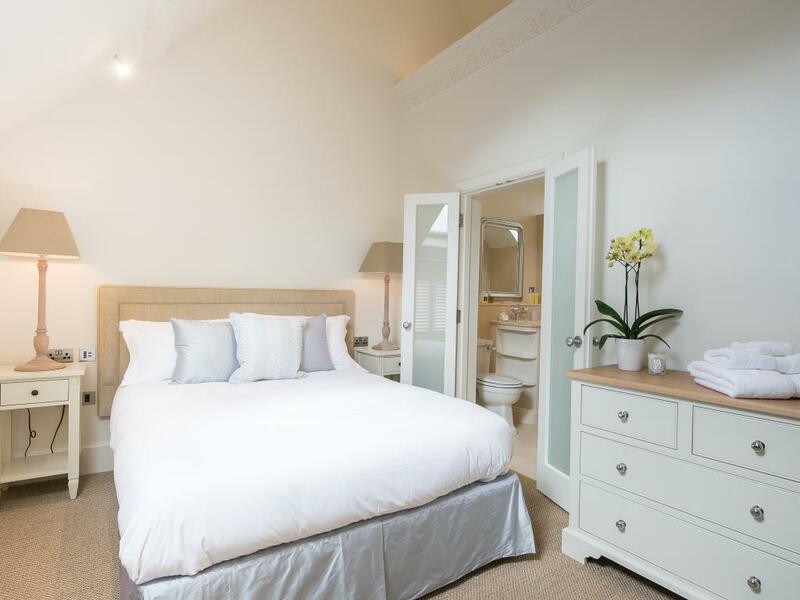 The whole property is centrally heated, with hot water available instantly, each bedroom with underfloor heating, Sonos installed throughout and every room fitted with a flat screen Smart TV. 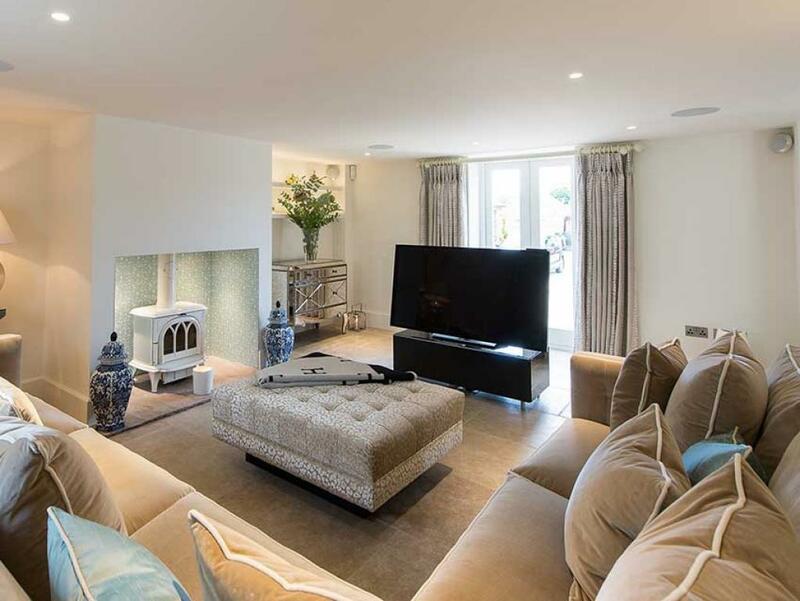 The property is served with WiFi throughout. 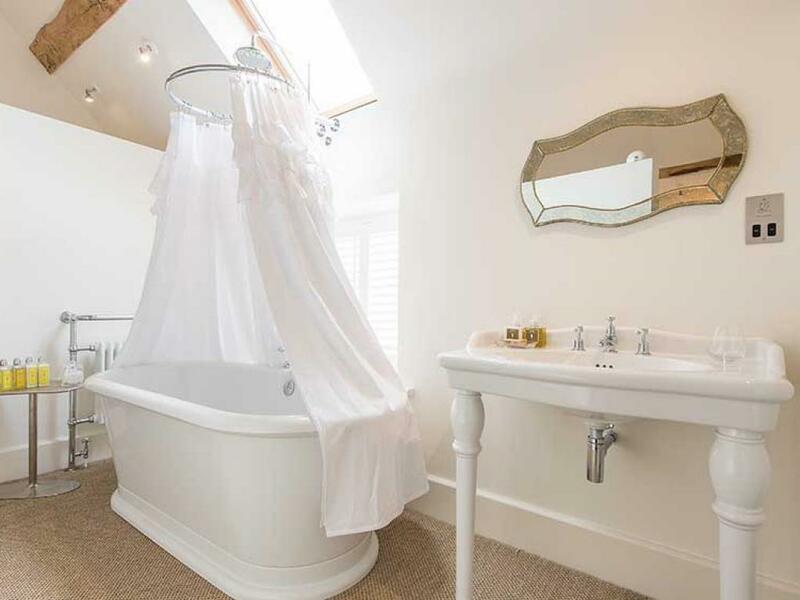 Situated on the eastern side of the estate above the vineyard in 3 acres of fruit and vegetable gardens with a feature pond and viewing deck to admire the famous views, The Grange also comes with its own cedar wood fired hot tub. We can also arrange massages and beauty treatments for guests in our own purpose built outdoor treatment pod. 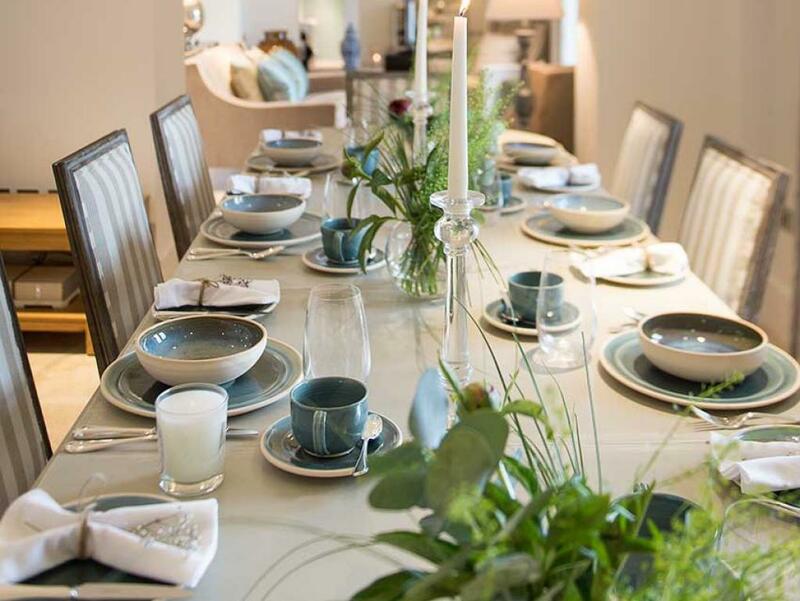 Guests enjoy a guaranteed reservation for lunch and/or dinner at ‘The View’, and a chef can also be made available by prior appointment to cater in The Grange. 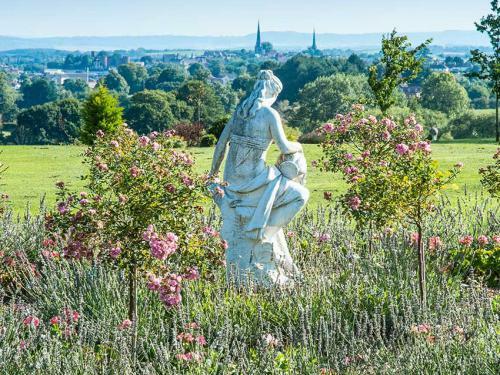 Set in 4 beautifully manicured acres, 93 meters above sea level, these western escarpments loom above the ancient beds of the River Severn and our very own 18-acre vineyard. 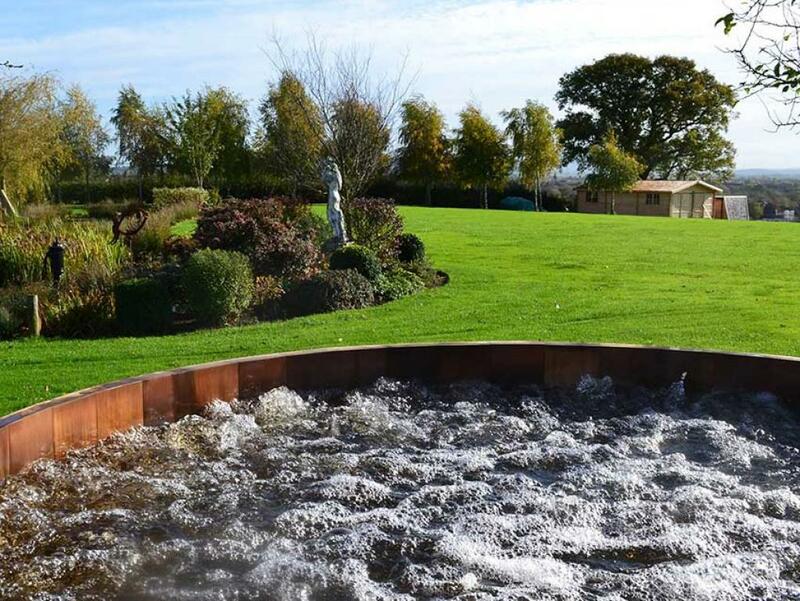 Each lodge enjoys a commanding view of the Shropshire and Welsh hills, peering down into the wet woodlands of the ancient river bed. 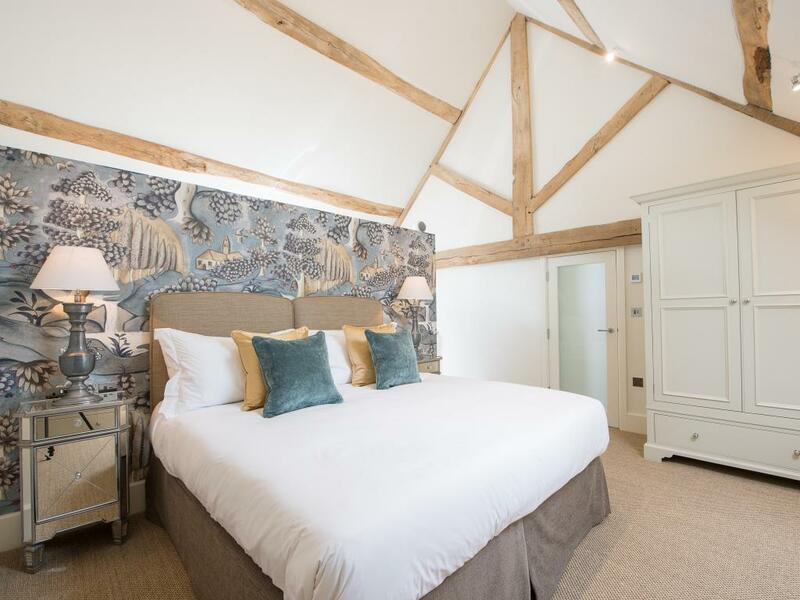 This high vantage also affords glimpses of the spires and rooftops of Shrewsbury town center, providing an endless backdrop of unrivaled views to admire from your own balcony or from within your own hot tub. 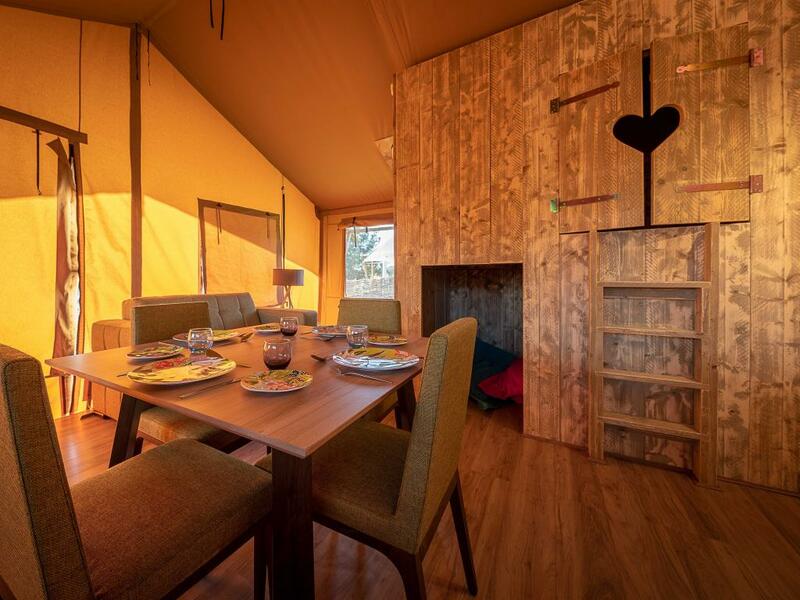 Glamping outdoors at Hencote can be both an authentic but also comfortable experience. 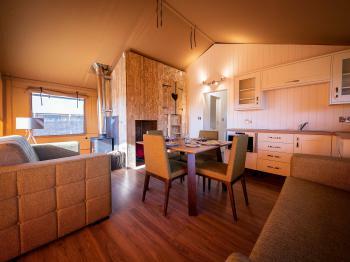 With two types of lodge to choose from, each is capable of accommodating up to 4 adults. 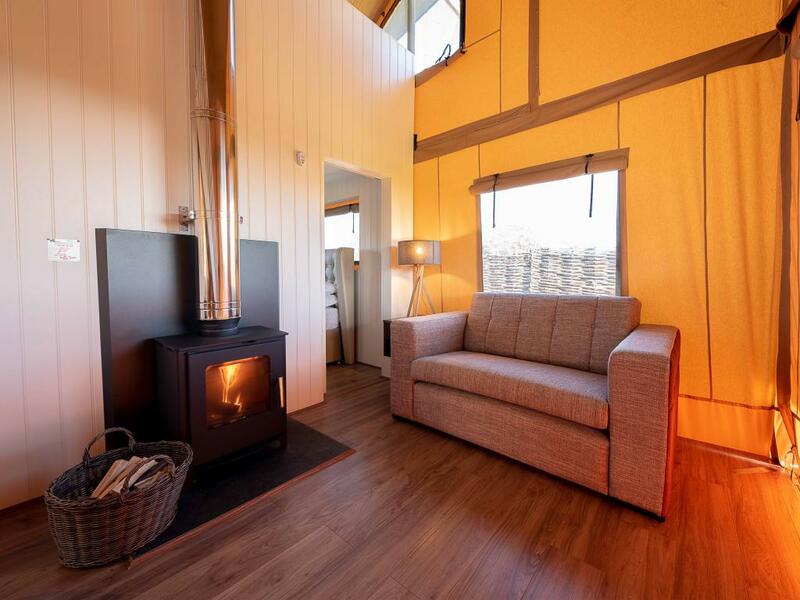 All have private balconies and their own wood-fired hot tubs. 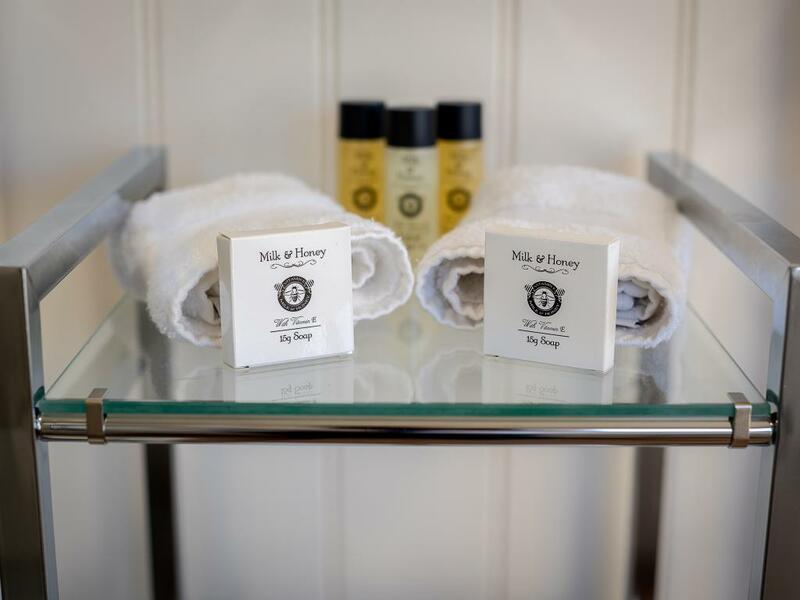 All lodges are fully furnished, beds made up and towels are provided. There is no need to bring anything. 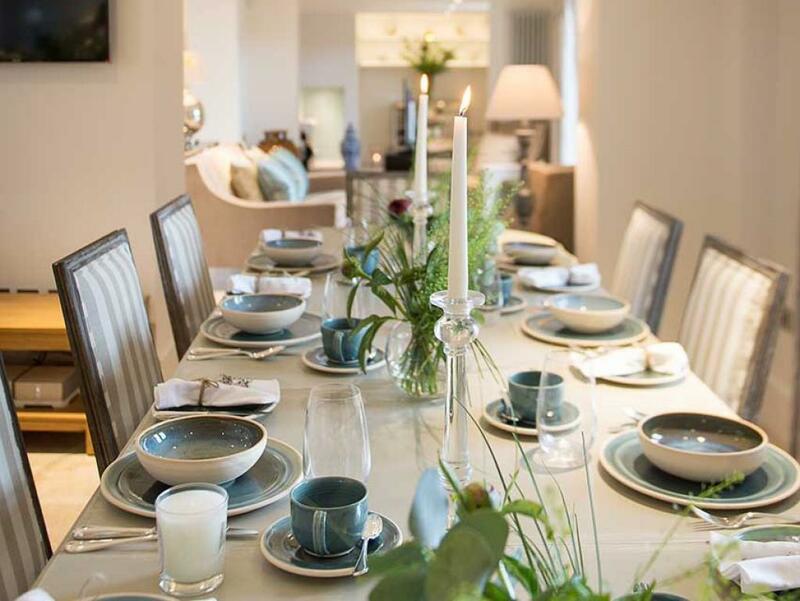 And since you have a truly wonderful restaurant, ‘The View’, right on your doorstep we can also cater to all your dietary needs at breakfast, lunch, and dinner. 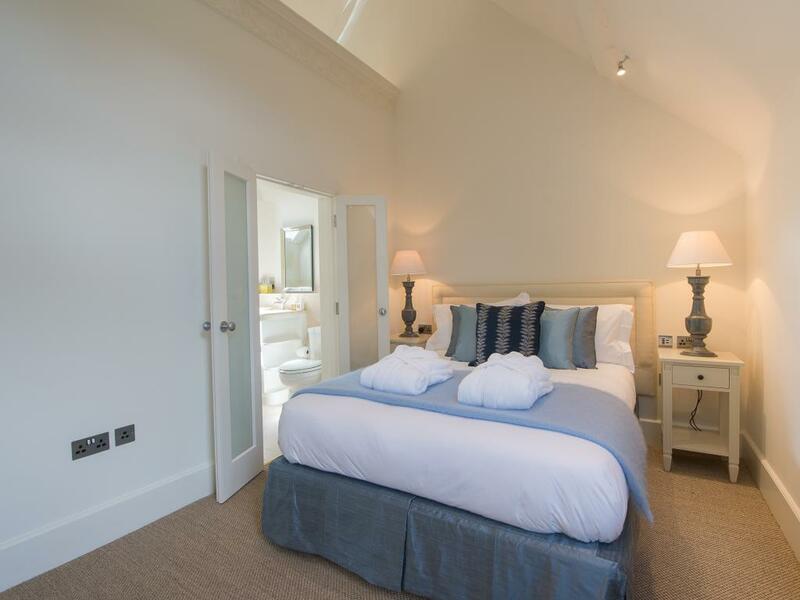 The Double Range Lodge is on two levels and comprises one kingsized bedroom downstairs, one mezzanine floor with two single mattresses, a lounge/dining room with wood burner and kitchenette, fully equipped bathroom with underfloor heating, walk-in shower and roll top bath, WC and vanity unit. 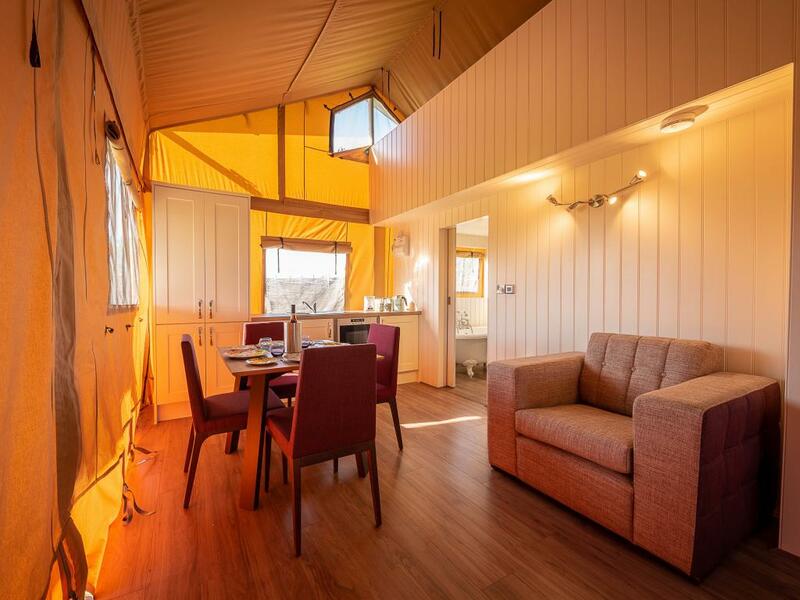 Guests are required to book for a minimum 2-night stay and there a variety of special Glamping packages available including the “Mid Week Break” and the "Indulgent Weekend Away”. 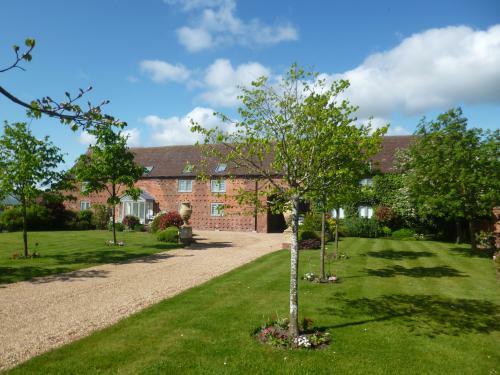 All residents receive a complimentary bottle of Hencote Lifestyle wine on arrival. 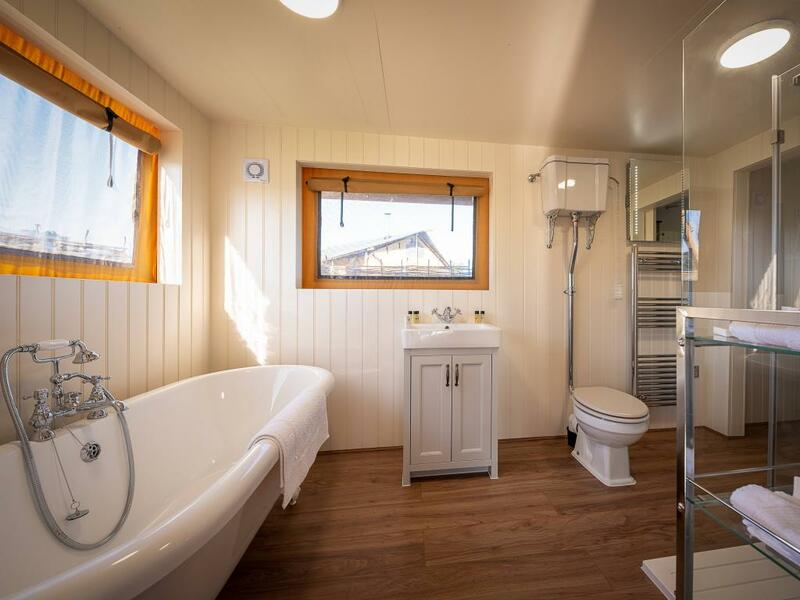 Glamping at Hencote is ideal for young families, couples and friends. 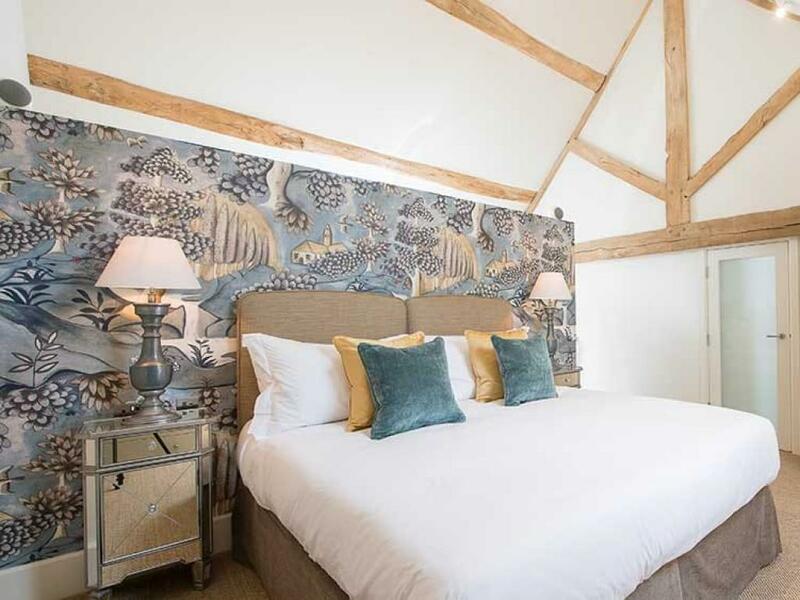 Set in 4 beautifully manicured acres, 93 meters above sea level, these western escarpments loom above the ancient beds of the River Severn and our very own 18-acre vineyard. Each lodge enjoys a commanding view of the Shropshire and Welsh hills, peering down into the wet woodlands of the ancient river bed. 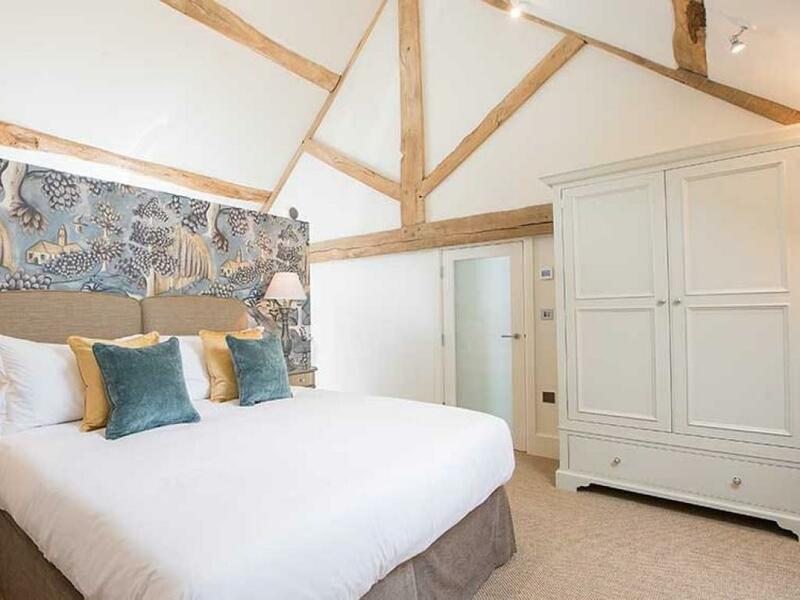 This high vantage also affords glimpses of the spires and rooftops of Shrewsbury town center, providing an endless backdrop of unrivaled views to admire from your own balcony or from within your own hot tub. 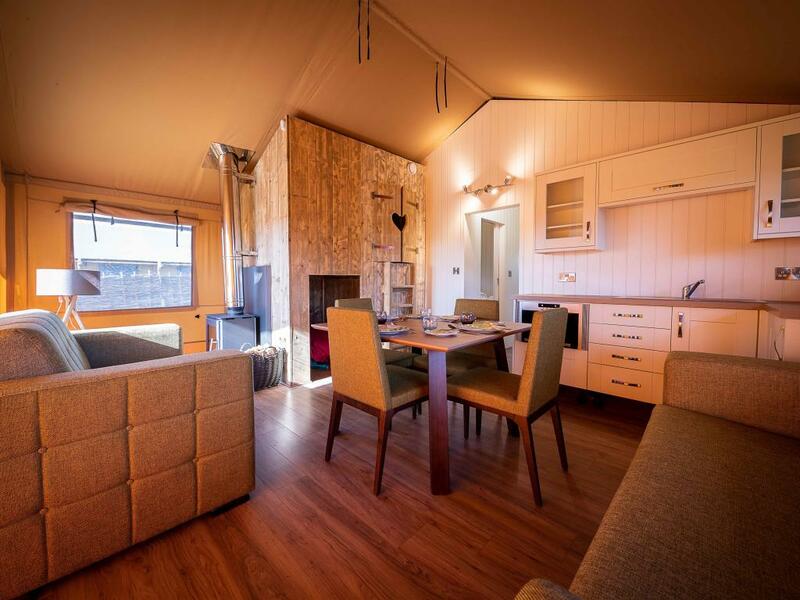 Glamping outdoors at Hencote can be both an authentic but also comfortable experience. With two types of lodge to choose from, each is capable of accommodating up to 4 adults. 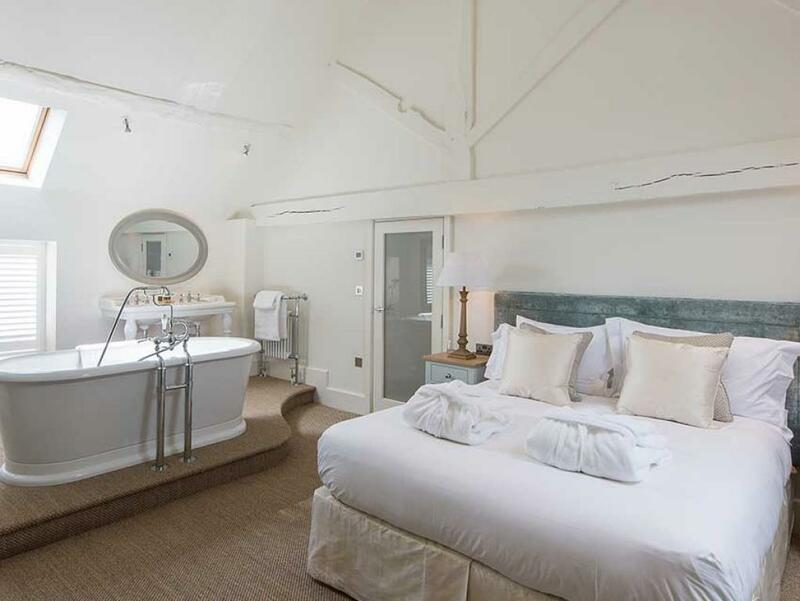 All have private balconies and their own wood-fired hot tubs. 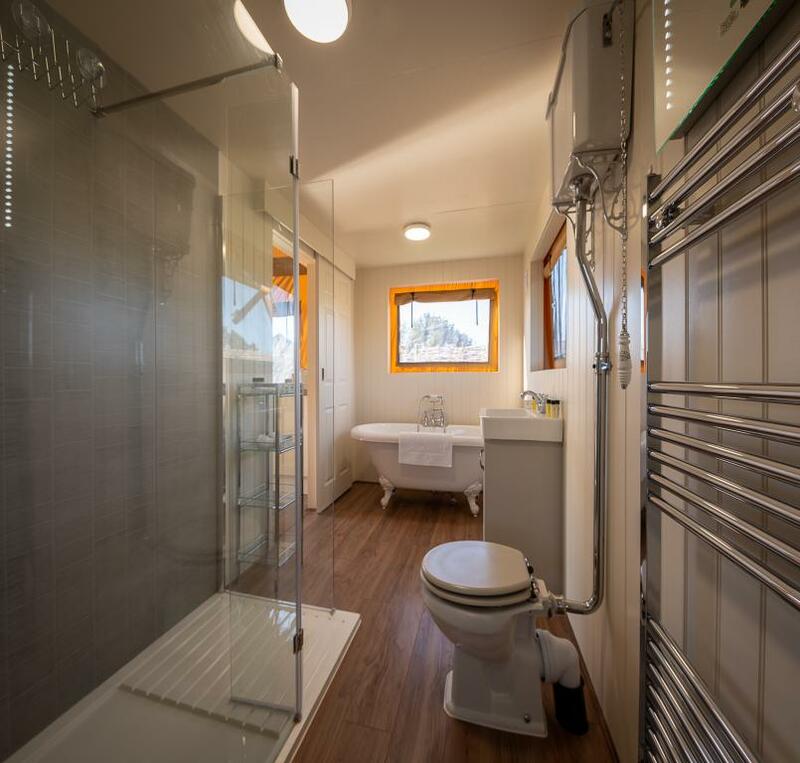 All lodges are fully furnished, beds made up and towels are provided. There is no need to bring anything. 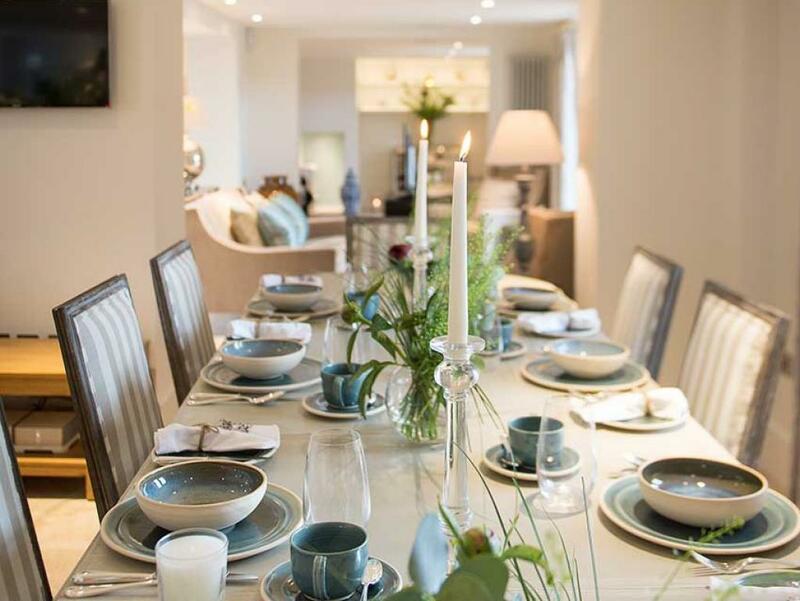 And since you have a truly wonderful restaurant, ‘The View’, right on your doorstep we can also cater to all your dietary needs at breakfast, lunch and dinner. 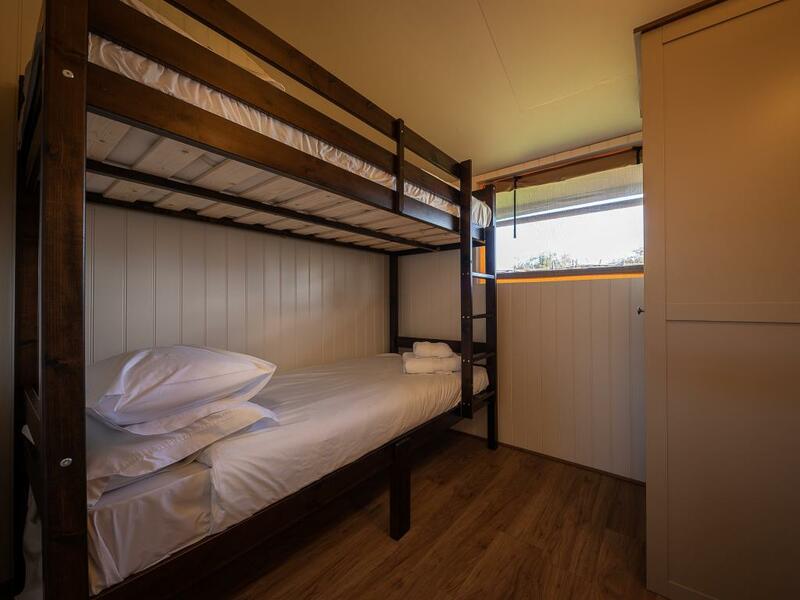 The Woody Range Lodge is a single storey unit that comprises one kingsized bedroom, one double bunk room, a kiddies hideaway (sleeps 2 under 6 years of age), a lounge/dining room with wood burner and kitchenette, fully equipped bathroom with underfloor heating, walk-in shower and roll top bath, WC and vanity unit. 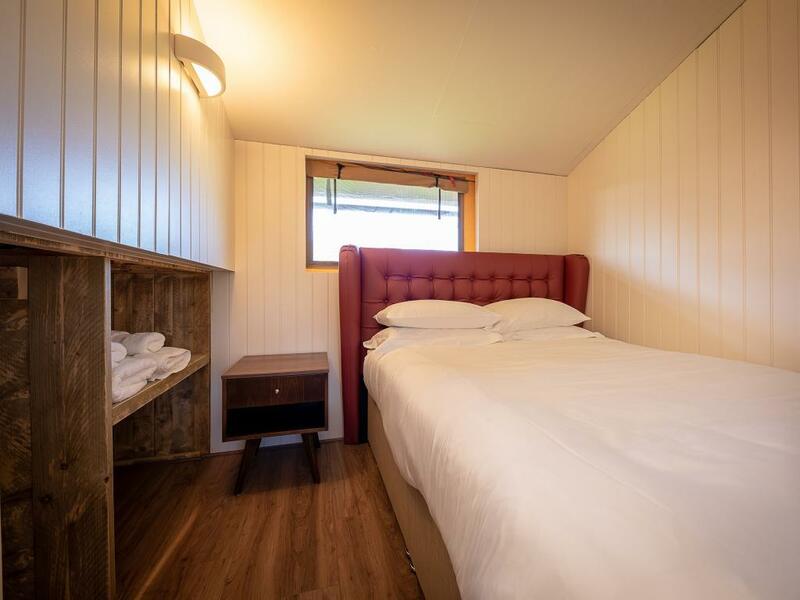 Guests are required to book for a minimum 2 night stay and there a variety of special Glamping packages available including the “Mid Week Break” and the "Indulgent Weekend Away”. All residents receive a complimentary bottle of Hencote Lifestyle wine on arrival. 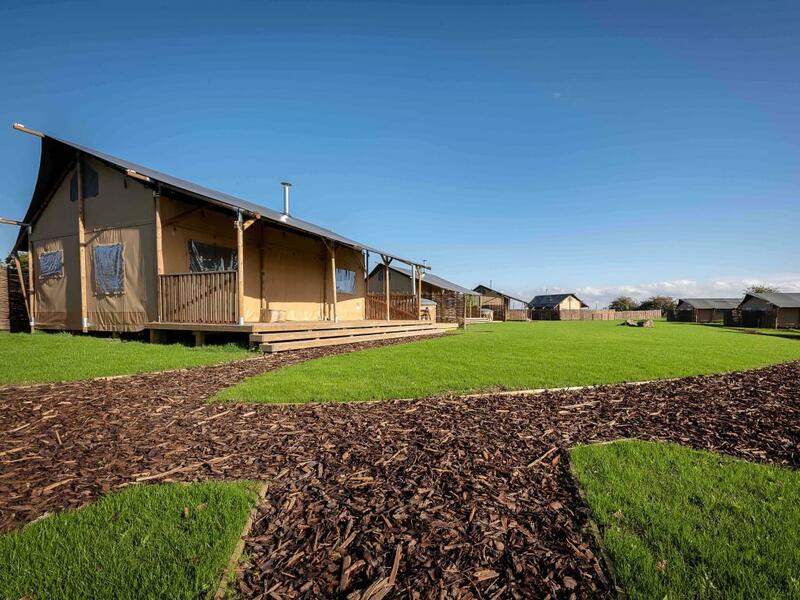 Glamping at Hencote is ideal for young families, couples, friends, large parties out to relax. 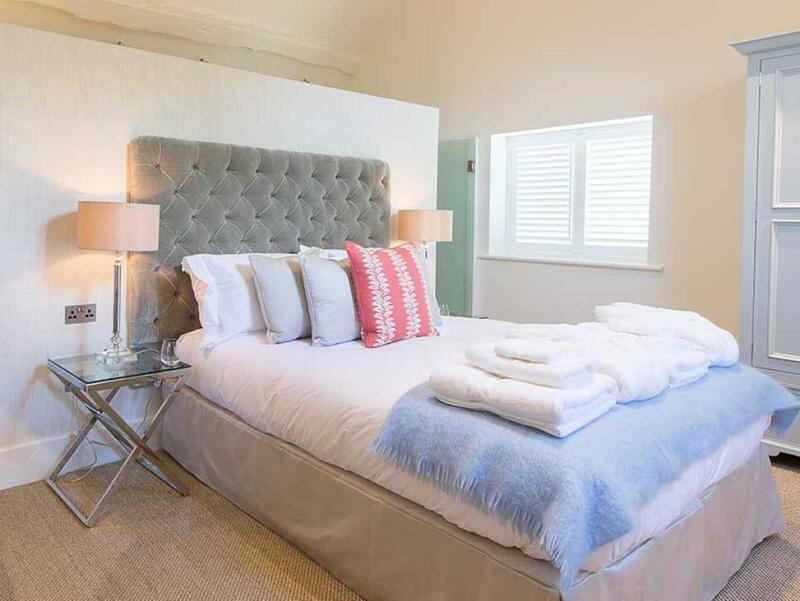 Stay on the private Hencote estate in one of two luxury accommodations: The Grange, a beautifully restored Georgian farmhouse that sleeps up to twelve; or the glamping village, a series of ten warm and inviting luxury lodges fit for couples, families, friends, and groups of colleagues. Both residences sit atop the Hencote estate and command impressive views of our vineyard and the Shrewsbury skyline. 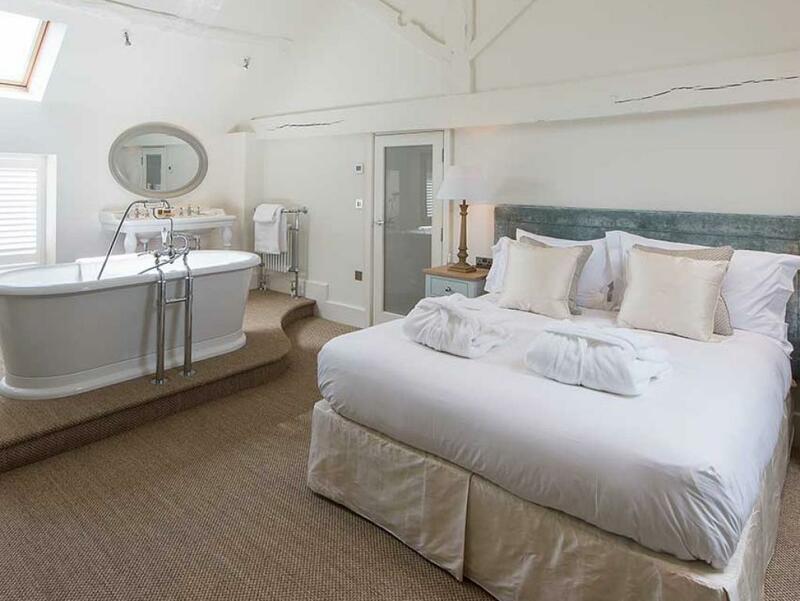 What was once a historic farm situated on the banks of the River Severn is today 'The Grange' a spacious and luxuriously furnished accommodation. 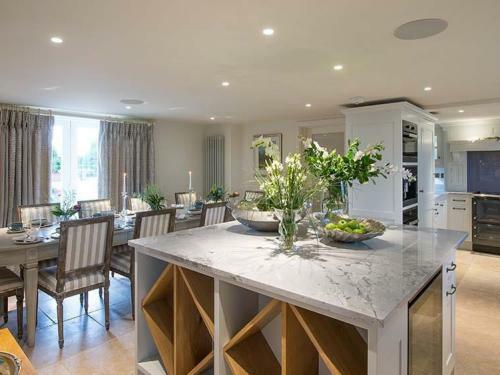 It houses seven, high-ceilinged ensuite bedrooms, an expansive open plan kitchen and dining room, as well as a plush lounge. The outdoor seating area, fitted with an eight-person cedarwood hot tub, is surrounded by three acres of private gardens and viewing deck where you can overlook the vineyard. 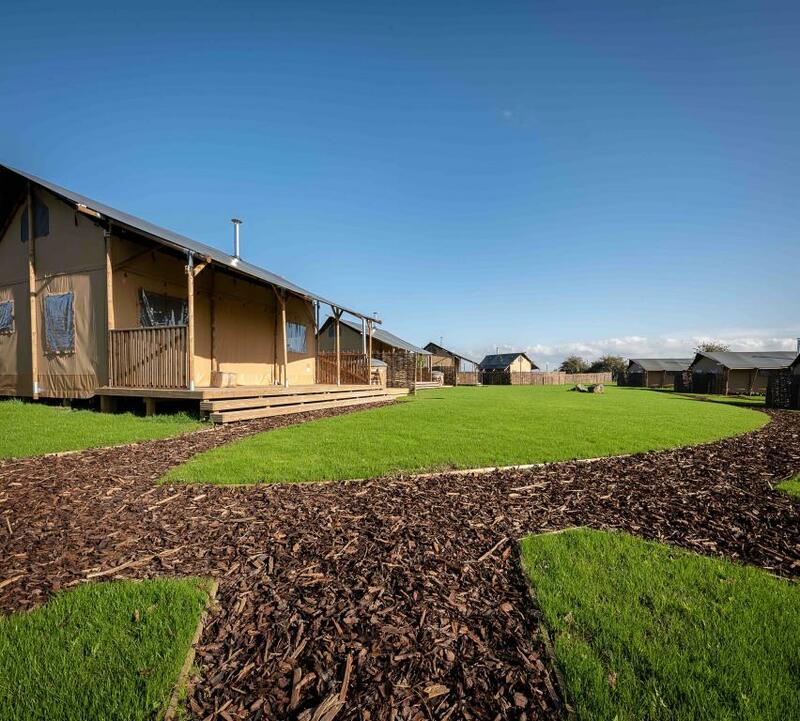 The glamping village consists of ten luxury lodges, each of which affords guests seclusion and privacy. 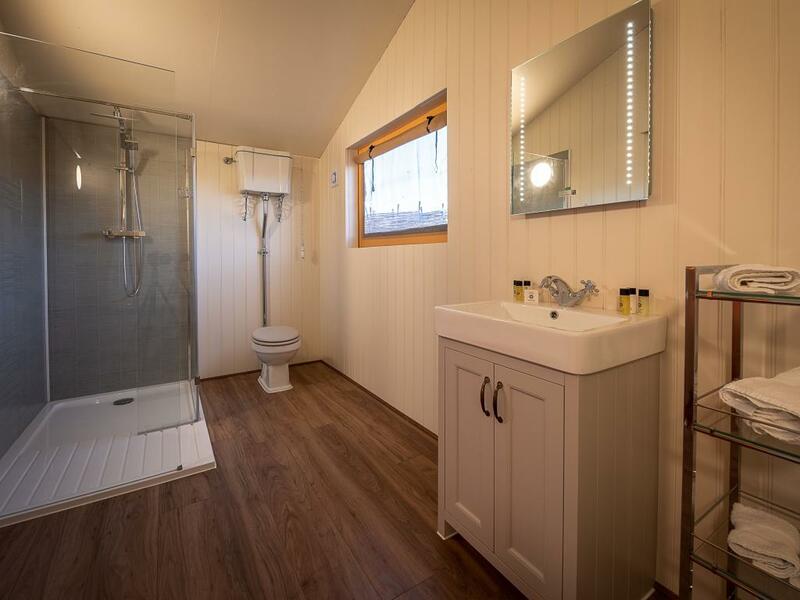 Warm and welcoming, each glamping pod features a wood burner, a bathroom with underfloor heating and a veranda with a hot tub. 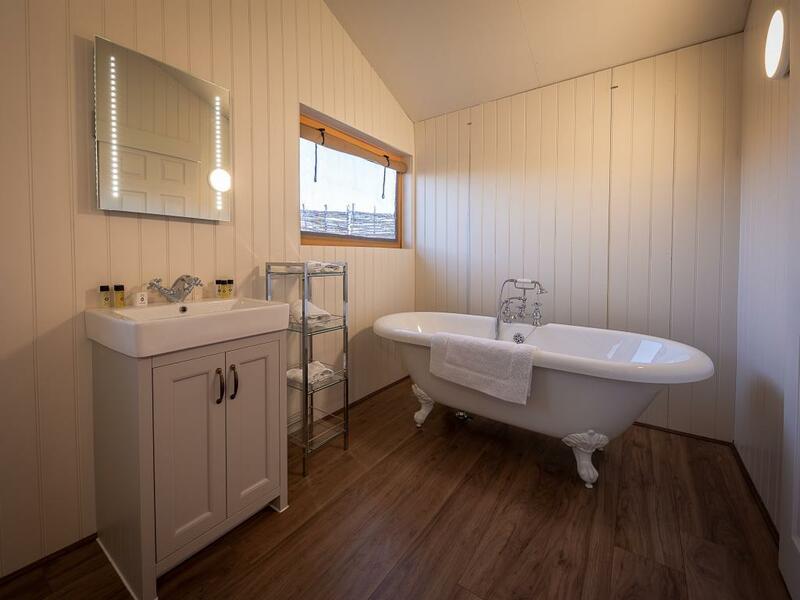 Guests can unwind in the warm water with a glass of wine and marvel in the beauty of the picturesque surroundings. Travel north from Shrewsbury Train Station on the A528 on to the Ellesmere Road. 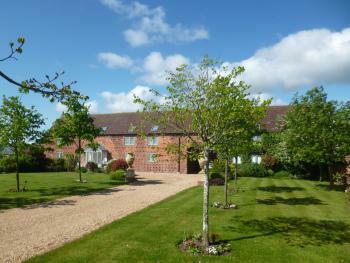 Turn left on the Hencote Lane and follow the road signs to Hencote Farm. The M54 will merge into the A5 after Telford. At the end of the A5 at the roundabout, take the second exit on to the A49. Continue onto the A49, taking the second exit straight ahead at the following roundabout. At the Battlefield roundabout, take the second exit onto the A5124. Take the second exit at the Enterprise Roundabout to continue on the A5124. At the next roundabout, take the second exit on to the Ellesmere Road. After 1 mile, take the right turn onto the Hencote Lane.